Question: What if I choose not to take a freight load that you offer me? Answer: We know that you may not like every load that we offer you, and if there is a load that does not suit your needs, then we will continue to look for a load that is acceptable for you. 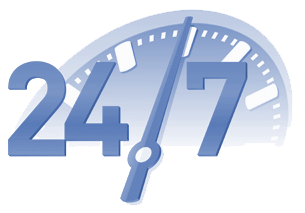 Question: Does 24/7 Truck Dispatch Service do the invoicing for my company? And how am I paid? Answer: We can do the invoicing for you for $15 per invoice. All the brokers will pay you directly, and how quickly you are paid depends on the broker. Question: Do I need to fill out any broker set up packets for brokers that I have never done business with? Answer: No. We will fill out all packets for you. Question: What brokers do you conduct business with? And which load boards do you look at? Question: What do you need from me in order to begin work? Answer: We need three things from you: a copy of your proof of insurance, your W-9, and your MC authority paper. Question: Do I need to fill out any contracts in order to begin working with you? Answer: No. There are no contracts to fill out with us; we only need the three items mentioned above in order to begin working together, and there is only one interview.